Chuck DeGroat shows how our wilderness journey helps us face our fears, receive our new identity, experience transformation, and live intoour newfound freedom. Discussion questions follow each chapter. "It's a long and sometimes painful journey out of "Egypt,"the place of fear, enslavement, and distrust. I know-I've been there, and still visit on occasion. If you're trapped in "Egypt" and know there should be something far better, this book will change your life. 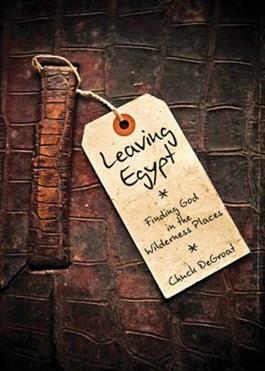 With profound biblical and theological insight, Chuck DeGroat has written a "travel guide" for human and flawed travelers who want to be free." — Steve Brown, professor at Reformed Theological Seminary in Orlando, author, and teacher on the nationally syndicated radio program Key Life. "Leaving Egypt is a welcome roadmap for anyone who is tired of taking two steps forward, three steps back --- whether you are lost in addiction, doubt, fear, shame, or religiosity. This book is a guide filled with directions -- not to a destination, but to stay on the path, because this journey is the Promised Land." — Sharon Hersh, M.A., LPC is an author, speaker, and adjunct professor in several graduate schools including Reformed Theological Seminary. She is the author of The Last Addiction and Begin Again, Believe Again -- both excellent companion reads to Leaving Egypt.